An abandoned Chinese space laboratory is set to meet a fiery end within hours as it re-enters Earth’s atmosphere, hitting a speed of around 26,000 kilometres an hour before disintegrating. 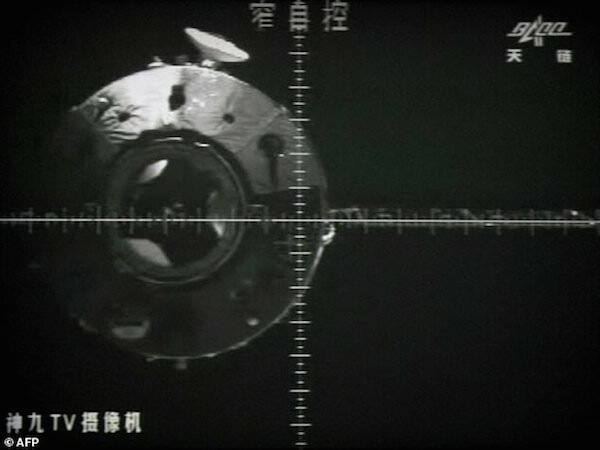 The European Space Agency forecast that China’s defunct Tiangong-1 craft would come down during “a window of about four hours… centred on 01:07 UTC (GMT)” on Monday. The agency said in a blog post Sunday that this was its “final estimate” because it is “at the limit of what we can forecast”. The China Manned Space Engineering Office had said earlier Sunday that the abandoned orbital outpost would make its earthbound plunge on Monday. The eight-tonne craft is unlikely to cause any damage when it comes down, but its fiery disintegration will offer a “splendid” show akin to a meteor shower, Chinese authorities said previously. Debris from the lab could land anywhere between the latitudes of 43 degrees north and 43 degrees south — from America’s Midwest to New Zealand, the ESA has said. “The high speeds of returning satellites mean they can travel thousands of kilometres during that time window, and that makes it very hard to predict a precise location of reentry,” said Holger Krag, head of the ESA’s Space Debris Office, in comments posted on the agency’s website. The ESA added, however, that the space lab will likely break up over water, which covers most of the planet’s surface. And it described the probability of someone being hit by a piece of debris from Tiangong-1 as “10 million times smaller than the yearly chance of being hit by lightning”. The ESA has said that ground controllers were no longer able to command Tiangong-1 to fire its on-board engines, which could have been used to control where it re-entered Earth’s atmosphere. Chinese media have downplayed comments by the ESA and others that the country’s engineers have lost control of the lab, with reports saying that the idea it is “out of control” is an invention of foreign media. But on Chinese social media, commenters criticised the government’s reluctance to own up to the situation. “Can you or can’t you report that you’ve lost control of the situation?” one person wrote on the Twitter-like Weibo.